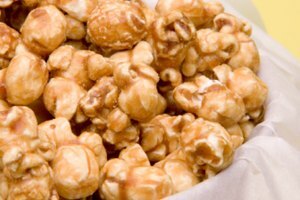 Caramel corn that is melted or sticky hasn't been cooked properly. When you make your homemade caramel, it is crucial to bring it to the correct temperature. This will ensure that when it cools, it dries as a shiny coating rather than a sticky sauce. 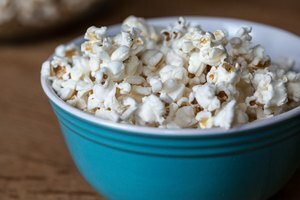 The caramel itself is simple to make and the corn can be mixed in a short amount of time, so give making your own caramel corn a try. 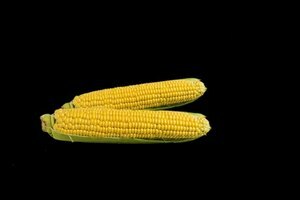 Combine butter, brown sugar, salt and corn syrup in a large saucepan. Stir the mixture well with a wooden spoon and raise the heat to high. Constantly stir as the caramel heats to avoid burning. Stop stirring as soon as the caramel begins to boil. Allow it to continue cooking at a low boil until a candy thermometer measures 285 degrees F.
Remove the caramel from the heat as soon as it reaches the correct temperature and stir in baking soda and vanilla. 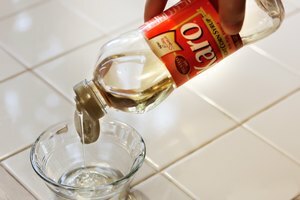 Stir the caramel well as it bubbles and foams from the baking soda. Spread the popcorn in a single layer on the baking sheet. Pour the caramel evenly over the popcorn. Toss the popcorn well with wooden spoons. Bake the caramel corn at 250 degrees F for 60 minutes, stirring well at the 15-minute mark and again every 10 minutes thereafter. 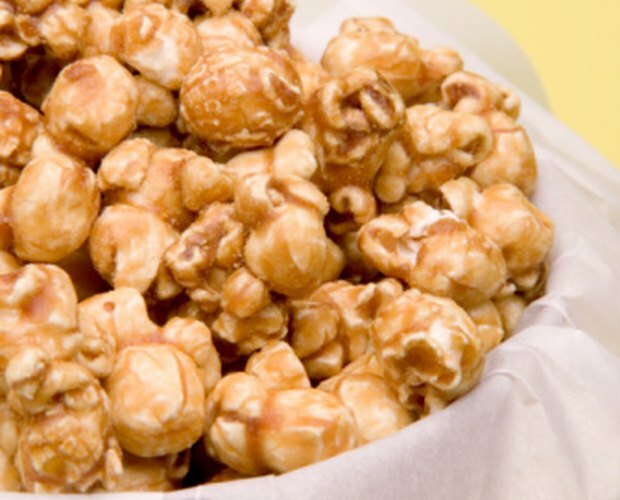 Allow the caramel corn to cool completely before storing in plastic storage bags or airtight containers.